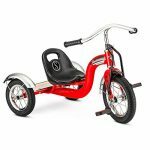 Swing, the 4 in 1 transformative trike by smarTrike® is perfect for children 10 to 36 months old. 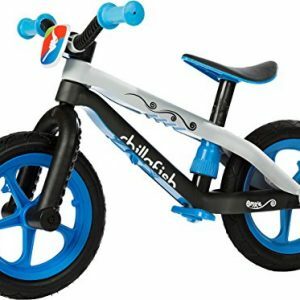 Swing moves with ease thanks to our wide grip handle and Touch Steering® technology, Swing adapts to your child’s development throughout 4 stages. 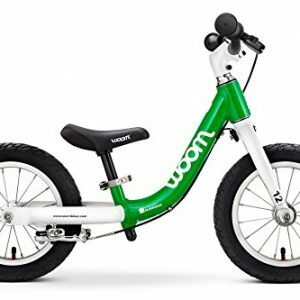 Equipped with a large front swivel wheel for precision turning, you and your little one can easily navigates around town. 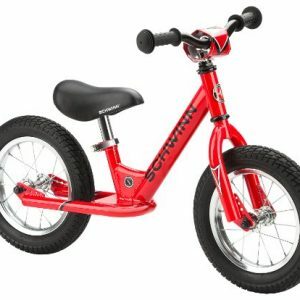 Swing boasts a trendy color coordinated canopy, soft padded seat cover, and large multi-purpose storage bag. 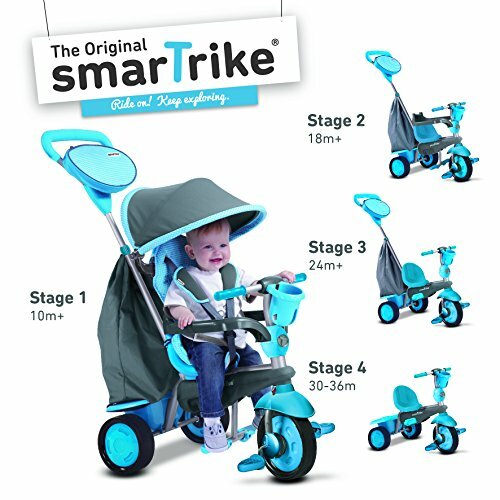 Stage 1 – Stroller Mode: At 10 months, your child can safely use the foot rests and sit up comfortably in the padded seat. 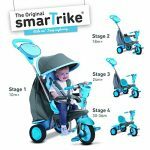 Stage 2 – Guided Trike: At 18 months after your child already sits upright on their own for a while, simply remove the safety bar and allow your child the feel of independence. 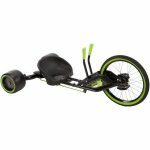 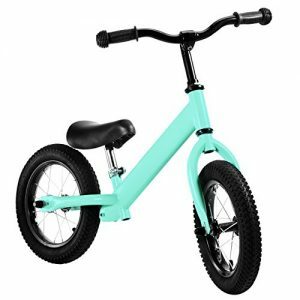 Stage 3 – Training Trike: At 24 months turn the Spirit into a training trike, allowing your child to learn how to pedal by themselves while under your guidance. 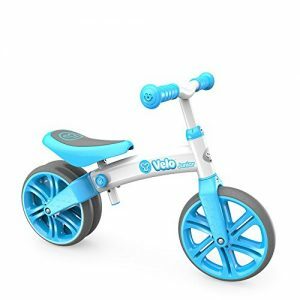 Stage 4 – Classic Trike: At 30 months, remove the parent handle, turning the Swing into an independent trike which your child can pedal and steer on their own and gain confidence and develop motor skills and hand eye coordination.